Susie Madrak, Crooks and Liars: When it comes to the Bush legacy, it's hard to know where to begin: a million dead Iraqis, thousands of dead American troops, untold numbers of wounded, a limping infrastructure, the open embrace of torture, the evisceration of civil liberties and the devastation of the global economy... why, I could go on all day. In the Prince George's County community of Riverdale Park, town officials have noted a distressing sign of the national economic ownturn: more children left home alone to fend for themselves by working parents too strapped to afford child care. The problem was discovered by code nforcement officers who inspect apartments in the town of 7,000. They used to come across such cases once every couple of years. Then, six months ago, they found one child left alone, followed by another and another. In one instance, a kindergarten-age girl was found hiding in a closet, apparently because she was scared, code enforcement officers said. 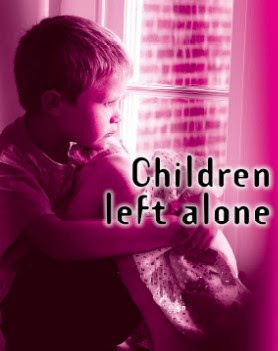 In another, children aged 10 or 12 were missing school to watch their younger siblings. Riverdale's experience comes amid an increasing economic strain inchild care across the Washington region. In an area known for day-care waiting lists, many operators report a rise in vacancies as parents withdraw their children or cut back on hours because they can no longer afford the cost.